Mixing with bespoke couture — What Would Wu Wear? Happy Mother's Day in advance to any moms who may be joining us today! This is a particularly special one for me as my son will be graduating from college next week. 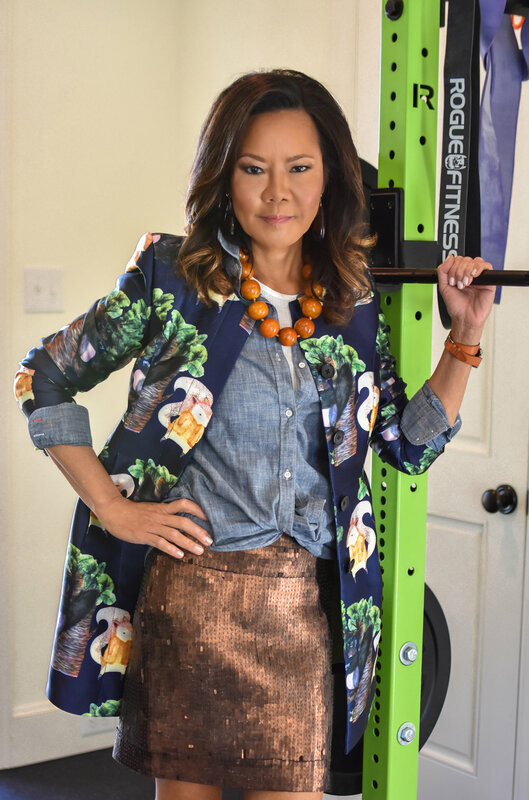 For today's look, I'm wearing a jacket made with Dolce & Gabanna inspired fabric bespoke made in Shanghai with a tank top from Walmart and a chambray blouse tied at the waist from Gap (I got a mens XS).